Program would facilitate award of state contracts to service-disabled veteran-owned firms. Albany, NY - February 10, 2014 - Governor Andrew M. Cuomo today proposed new legislation establishing a five percent goal in the awarding of State contracts to service-disabled veteran-owned small businesses. This legislation would expand economic opportunity for veterans by ensuring that New York State is providing every occasion for them to participate fully and equitably in State contracting. The legislation would create a Division of Service-Disabled Veterans’ Business Development within the Office of General Services that would administer the program and coordinate with State agencies to help meet the five percent goal. Governor Cuomo has made job assistance for veterans a hallmark of his administration. His “Experience Counts” initiative translates veterans’ military skills and experiences into opportunities for employment, and his $74 million tax credit encourages employers to hire New York’s post-9/11 veterans who are currently unemployed. Additionally, the Governor has also announced plans to convene a Veterans and Military Families Summit in 2014. New York is home to more than 900,000 veterans, 72 percent of whom have served during periods of conflict. Approximately 88,000 New Yorkers served in Afghanistan or Iraq. Additionally, the State is home to approximately 30,000 active duty military personnel, as well as 30,000 National Guard and Reserve personnel. 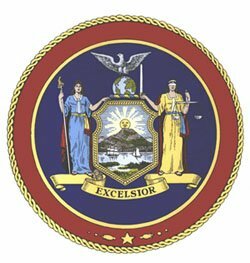 Subject: LongIsland.com - Your Name sent you Article details of "Governor Cuomo Introduces Legislation to Create Veterans Contracting Program"